The climate conditions in Portland, Oregon, are perfect for roses. It wasn't long after Portland was established that it became known as the "Rose City." The first official Portland Rose Festival was held in 1907. 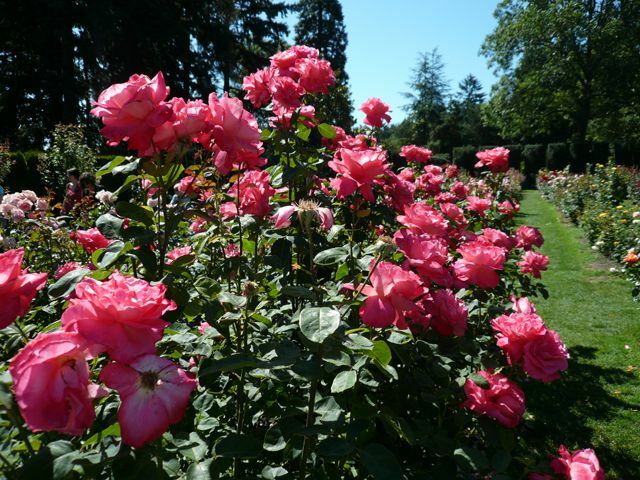 The Portland Rose Festival is actually a whole series of events that kick in mid-May and run well into June. Rose Festival events take place all around Portland. Held over most days of the festival, the CityFair offers all the favorite fair activities - live entertainment, carnival rides, food booths, and arts and crafts. Floats and marching groups decked out in lights of all kinds. View and tour naval vessels from the United States Navy, U.S. Coast Guard and the Canadian Maritime Forces. Colorful floats, marching bands, equestrian groups, and more.